Anastasios’ practice lies mainly in the area of Banking, Financial and Capital Market Law; he advises financial companies during their licensing procedure, also regarding compliance with the regulatory requirements set out in the relevant legal framework and supervised by the Bank of Greece and the Hellenic Capital Market Commission. Moreover, he has dealt with projects regarding transfer of receivables from loans and credits. He has some experience in merger and acquisitions transactions and in basic corporate issues. 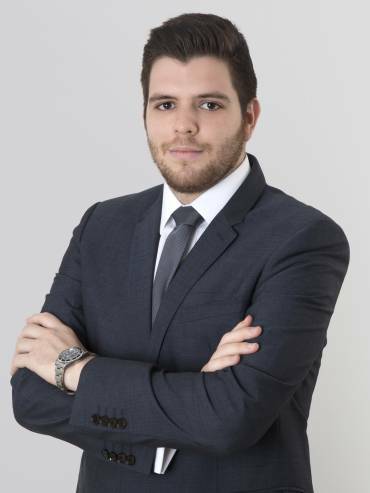 Anastasios has also been involved in projects regarding data protection compliance. “Advising clients of the banking, financial and capital market sector is extremely challenging and interesting since you have the chance to discover the complexity of the function of financial and investments market by meeting and supporting members of banking institutions, institutional lenders and investors and their strategic investors and dealing with new fields of law that are growing radically. Potamitis Vekris is an internationally recognized law firm which attracts significant clients in Greece and abroad and gives the opportunity to its legal advisors to practice law in specialized fields working with highly experienced and talented individuals on innovative projects in new practice areas such as NPL portfolio and investments transactions, whilst taking part in the development of new regulations both in national and in European level”.